Barbara Holland was born in Portland, Maine, July 12, 1925, the oldest of three children. Her parents were both college professors, her mother in Latin, her father in architectural history; throughout most of her childhood her father was Chief of the Division of Fine Arts at the Library of Congress, commuting weekly from Philadelphia. Barbara was sickly for the first year or two and had little contact with other children. She taught herself to read, at first from labels on food packages and ads in trolley cars. By the time she was five she was teaching me, two years younger, to read as well. Living within walking distance of the University (of Pennsylvania) Museum, where her father often took her, Barbara developed an interest in other languages, first in hieroglyphics, then in Chinese. All three of us went to an old-fashioned "dame school" of some twenty-four children from the University of Pennsylvania community. The single room held "classes" ranging from kindergarten through sixth grade. Barbara then attended private schools, graduating from the Baldwin School in 1943. After a freshman year at Smith College, she transferred to the University of Pennsylvania, where she received both a B.A. and later a M.A. in English literature, completing the course work for a doctorate. She was always very independent, finding such employment as working on a new edition of the dictionary for Merriam-Webster in Worcester, Massachusetts, at a college in West Virginia, in researching genealogies, translating Spanish poetry, and for a stock broker on Wall Street. By the time she moved to New York in the 60's, she had decided that her writing came first and that any other occupation was simply to support her very modest living requirements. In Greenwich Village, which she described as full of familiar faces like a college campus, she felt at home. Few poets writing today can compare with Barbara Holland in her richness of imagination, fecund with surprising transformations  and her corresponding verbal ingenuity. 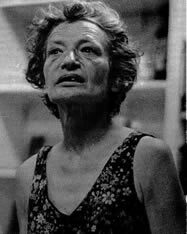 A feminist and an iconoclast, Holland arrived in New York in 1962 [reading] at St. John's in the Village, McBurney YMCA, Les Deux Megots and the Cafe Metro. ... Fleeing the claustrophobic atmosphere of the 'baccalaureate mill', Holland began freelancing and devoting herself to poetry full-time. Barbara says, "Poetry was my personal rebellion against the second-handedness of the scholarly criticism which comprises doctoral work in literature and the file-clerky business that it is." Barbara received a CAPS (Creative Arts Public Service) grant in 1974. She divides her time between readings in Boston, Baltimore and New York, guest edits magazines around the Eastern seaboard, and continues to publish widely in magazines across the country. I asked Barbara, "Do you write at a certain time during the day?" She replied, "Never during the day. I wait until all the crazies have gone to bed and have stopped screaming at each other and until all the other crazies have stopped using the elevator, then I write." Barbara Holland is a master before whom many, or most, if not all more famous poets should quail. A true poet of urban romanticism...a seeker of found objects, to whom the jagged and rusty are mysterious and beautiful...A major poetic voice from the coffeehouses, off-off Broadway theaters, poetry jazz readings, lofts, cafes and churches in New York's literary ferment...A wry romantic. The Sybil said, "The road to Avernus is easy; the road of return rough and extremely difficult." Barbara Holland has taken this road again and again with no difficulty at all. A new book of Miss Holland's poems is a celebratory event ... the best poems of the collection are characterized by the surprises of imaginativeness but the logic of the unforced ... the effect of each poem is cumulative rather than occasional, their often memorable conclusions not the snappy endings of weaker authors but inevitable culminations of their poem's energies. Barbara Holland, the New York City poet of our time, an eccentric woman of vast writing ability. In Pennyfeathers, Greenwich Village, the woman who has been headlined "the most widely published unknown poet in America" seems to take more pleasure from discussing aspects of Celtic mythology than from talking about her work. Although her poems have yet to grace the pages of The New Yorker  or, for that matter, the three or four other established publications in which American poets can be said to "arrive"  more than a thousand literary journals in the United States and abroad have published her work. These include The New York Poetry Quarterly, The Beloit Poetry Review, Antioch Review and Voices International. Eight books of her poetry have been published by literary presses since 1965. In addition, a number of her poems have appeared in anthologies published by Viking, Anchor Books (a division of Doubleday) and Bantam. Holland may not have The New Yorker and a fat publishing contract to boast of, but she does have other sources of recognition. During the past five years, especially, she has become something of a cult figure on the New York literary scene (Boston, too), and she is admired by other, better known writers, such as science fiction master Ray Bradbury. Bradbury once wrote to her: "In a world where there are so many Irving Wallaces and too many Harold Robbinses, are far far too many Jacqueline Susanns, all duplicates one of the other, how nice to know there is only one Barbara A. Holland, who speaks with her own voice and sings her own song." Although there is only one Holland, she is a poet who evades categorization. Her work has been variously described as romantic, mythic, supernatural and surreal; she is as adept at evoking a seascape as in creating a monologue by Medusa. There are city poems, and love poems, and poems both funny and terrifying. The common denominator is her extraordinary imagination, the classical precision of her language, and a wild sense of humor. Holland is also recognized as a powerful reader  that is, her readings are dramatic performances, done from memory; they have done as much in creating a following for the poet as the poems themselves. Concerning the poems: "The content is surreal at times, but I dont go and do unusual things with syntax. I dont tear the language apart and try to rebuild it from scratch, as other poets have tried to do ... I dont think much of ultra-sentimental, Hallmark Cards type of poetry ... In writing a poem, I use breaks in the breath rather than grammatical or metrical structures." Concerning the reciting of poems: "I read mostly by instinct, but I do have some ideas about performing. I tend to take it very slowly. If I talked naturally, this would be too fast for most peoples comprehension." Holland said she never suffers from stage fright  "even the time I read for 3,000 rock fans in Boston. They looked completely unreal to me. But what I have to do is draw back the ego consciousness and observe myself. I become a stage director; I have this puppet working for me. So, on Boston Common, I just looked at that enormous audience and said to myself, Well, here you go again."
A native of Philadelphia, the poet holds a masters degree in English literature from the University of Pennsylvania. She has been active on the New York poetry scene since the early 1960s  in Les Deux Megots, Cafe Metro, the McBurney YMCA, and other poetry centers of the period. She has since been a featured reader in numerous poetry centers in New York City and New Jersey, including New York University, the City University of New York, Fordham University and Fairleigh Dickinson University. Not to mention libraries, art galleries, taverns, cafes, lofts, theaters and "a laundromat and a show store, as well as the parks and piers of New York," Holland added. The poet is currently a member of the St. Clements Poetry Festival in New York. Her publisher, Brett Rutherford (The Poets Press), is based, however, in Weehawken [NJ]. The following remarks by Barbara A. Holland are taken directly from Michael Redmonds hand-written notes, in the order she made them. Barbara was in good spirits, focused, relaxed, having enjoyed a good meal. "In the late Fifties everybody was interested in Eliots The Cocktail Party. The funny thing is that they considered him avant-garde." "The New York School? Well, whats left over from the Beat movement is a rather posh group, including the group that OHara brought together at MOMA, and the Naropa crowd. Theyre doing the circuit  New York is just one of many places where they touch down. They may have started here, but now theyre gone Upstate, to New England, or the West Coast. Ive never been quite sure how to get on the circuit." "I usually mess around in my head with a poem for several days. I play around with phrases waiting for the subway. One time I got stuck on the subway going up to hear David Ignatow read and I got an entire poem done." "I do base some poems on dreams." "I admire Marge Piercy, T.S. Eliot, and Dylan Thomas. I had a lot of trouble eradicating Eliotisms from my work. I dont understand about three-quarters of Dylan Thomas, but then, they say he couldnt either." "Im not sure about feminism, Im not sure about the ERA. I worry that the ERA will make women the same sort of group that blacks became after they got their special legislation. Then they were driven right back down to the ghetto." "Poets are the poor relations of literature. They talk about playwrights and novelists and short-story writers, but never poets." "I get rejection slips. They bother me as much as a little static on the radio. At least I dont have to deal with people of the mentality that actors have to." "Weve gotten to the point that when poets become prominent, they become public figures. They may as well be politicians. "Im not a joiner. I dont run with the pack." Four items of interest, from the same notes. 1. BAH spoke of using four standard reading groups: 1. The sea, 2. "mostly for laughs," 3. long supernatural poems, 4. "outdoor." 2. BAH said that she derived a regular income (probably pitiful) from "municipal bonds." 3. Direct quote: "I had been floundering [sic] around in Celtic stuff. Thats how I got into my Isolde poems." She said there were eight of them, written over many years. I saw the mss. 4. Grey hair, brown eyes. Remembering "The New York Poets Cooperative"
[Barbara] and I, my roommate William J. Matthews and my ex, P.K. Volmuth, first conceived the idea of the original "New York Poets Cooperative" in my apartment on Elizabeth Street. Barbara brought in Donald Lev and Emilie Glen, I think, and Sabina Jaycna Roseman. There may have been others, it has been so long ago that I forget, but essentially all of those names belong together at the same time. Barbara and I performed together frequently in New York. I think that the cooperative might have lasted five-ten years maybe before it ran out of steam, Roseman worked at St. Johns in the Village, so we read there. Matthews and I published a small mag called SANSKARAS for a few years.". with the moon in your hand! as long as gnat bite. casts me in bronze, immures me. I must not be uprooted, yet must fall. run through with veins of screaming gold. its outcome in desired disaster. and the thick set sledge. that tallies up his prayers. and sloughed its meagre pay. in an onwardness continued through eternity. no motive lifting stillness from the distances. from cubic growth of breathing, peeling plane from plane? and no one is allowed to know how vast it is. hung out to catch you. published by William J. Matthews and Ronald Hobbs. Thanks to Ronald Hobbs for providing the copies. The complete poetic cycle, Crises of Rejuvenation, originally published in two volumes in 1973 to 1975, is now expanded and annotated by Brett Rutherford. Most of the works in this collection are inspired by paintings of the Belgian surrealist Rene Magritte, and the notes explain the precise connections between the writings and the paintings. Those who heard Holland read in New York still remember some of the haunting works here, including "An Abominable Breakfast, " "My Old Friend, the Sorcerer," "High On Three Cups of Tea," and "The Inevitable Knife." Also here are the Wagnerian yearning of "Not Now, Wanderer," and the Ray Bradbury tribute, "Autumn Wizard." The print edition of this significant poetic cycle from the 1970s is available now. ISBN 0-922558-20-5, 106 pp., paperback. $14.95. CLICK BELOW TO ORDER FROM AMAZON. May Eve: A Festival of Supernatural Poems. Brett Rutherford, ed. A ground-breaking chapbook, published in 1975, with chilling poems of hauntings and witchery by Barbara Holland, Shirley Powell, Brett Rutherford and Claudia Dobkins. Read a large sampling from this monstrous collection, including Barbara Hollands famous "Black Sabbath" and "Apples of Sodom and Gomorrah." Note: The poems from this book have been incorporated into a huge anthology of Supernatural Poetry since 1800, incorporating poems by Coleridge, Sir Water Scott, Robert Southey, Robert Browning, Christina Rossetti, Lord Byron, Shelley, and many other poets. The May Eve poems are in the second volume.. Published May 2016. 6x9 inches, paperback. 348 pp. ISBN 0-922558-84-1 $19.95. CLICK BELOW TO ORDER FROM AMAZON. Autumn Numbers. 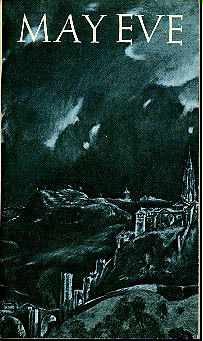 A facsimile PDF edition of Barbara's haunting 1980 chapbook.